BEST FIGHTER FOR CANADA: FIXING THE CAPABILITY GAP. Canada has officially begun the process to acquire used F/A-18 Hornets from the RAAF. It has presented the Australian government with a "Letter of Interest". This tire-kicking will give a sense as to how much these second-hand fighters would cost us and how soon they would arrive. Let me save the Trudeau government some trouble: Don't bother. This is not to disparage the Australians or the RAAF. 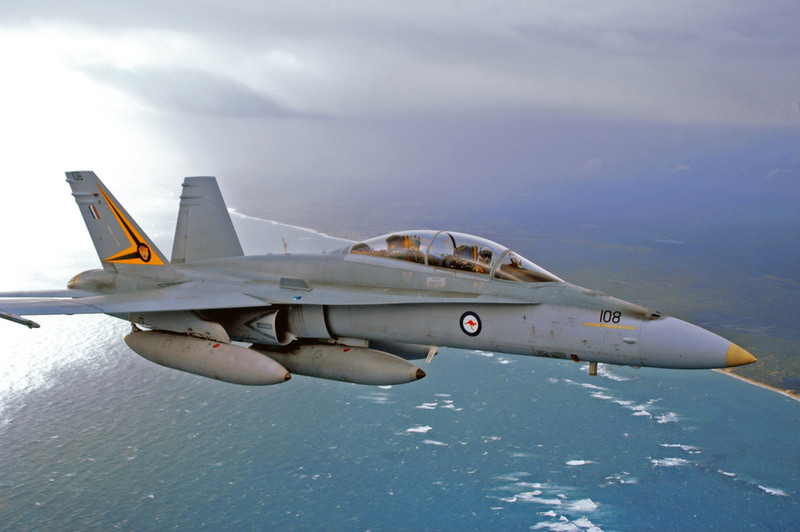 Like Canada, the Aussies have continuously upgraded and refurbished their fleet of Hornets. While there are minor differences between the two, integration into the RCAF fleet should be relatively "plug-and-play". As far as costs go, second-hand F/A-18s would likely seem like a bargain. It would certainly be a lot more affordable than the mind-boggling $5.23 billion quoted for 18 Boeing Super Hornets. So why give the RAAF Hornets a pass? It is a simple matter of availability. The whole point of the interim fighter is to increase our fighter capability NOW. This would give us the time to hold a proper fighter competition and take deliveries. This is the tripping point. Australia is currently replacing its F/A-18s with F-35 Lightning IIs. Like Canada, Australia is a JSF Industrial Partner. Unlike Canada, Australia has ultimately decided on the F-35. So far, only two F-35s have been built for Australia... And those are currently parked in Arizona. These two aircraft will be joined by the next eight RAAF F-35s within the next year. It will not be until December 2018 that a pair of F-35s will arrive in Australia for "operational test and evaluation". At this rate, the RAAF will not have any usable F-35 assets until 2019-2020 at the very earliest. Given the program's history of delays and setbacks, it would not be surprising to see this pushed even further into the future. If Australia is willing to sell a sizable portion of its current fighter fleet to Canada quickly and at a fair price, then it is well worth looking into. However, it would seem unlikely that any high-ranking officials in the RAAF would sign off on selling any fighters whilst waiting for replacements. That would leave Australia with its own "capability gap". While Australia would likely be more than happy to help Canada with its defence, it will not likely do so at the cost of its own. While it is not a bad idea to look at the RAAF Hornets as an option, it is hard to imagine it as our best option. Even if Canada were able to acquire these used fighters for a reasonable price and in a timely manner, they would still be a short-term solution to a long-term problem. 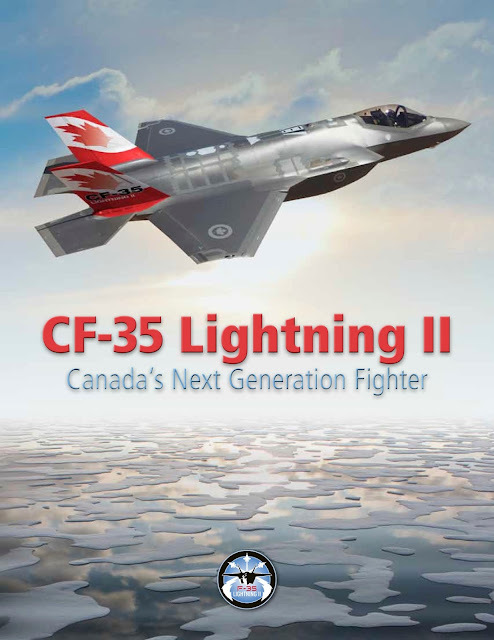 Oddly enough, Canada may be better off purchasing the F-35 as an interim fighter. Lockheed Martin, the USAF, USMC, and countless other parties would like nothing more than to increase F-35 production. Thanks to Trump, that looks like it will finally happen. This means that if Canada actually did want the JSF, we could likely get them just as fast as anyone else. Heck, we could probably take deliveries sooner than we could used Hornets. This would be a bitter pill for the Liberal Party of Canada, however, as they promised to do no such thing. This could be mitigated somewhat, however. Instead of framing the F-35 as a CF-18 replacement or as an interim fighter, the Federal Government could instead label it as a permanent stand-alone purchase. This small number of F-35s (a single squadron) would serve alongside Canada's main fighter fleet. These would not be the "workhorses" of the RCAF but serve as a "high-end" fighter much like the American F-22. This single squadron would be tasked with "coalition duty" operating with F-35s with other nations and utilizing the same infrastructure abroad. These fighters would not be tasked with more mundane (but no less important) duties such as air policing or training. This hypothetical squadron would operate out of a single base (Cold Lake or Bagotville). This would mean less need to modify existing RCAF infrastructure at our Forward Operating Locations and other bases. Best of all, securing a small number of F-35s would likely be enough to secure Canada's place in the JSF industrial program, thus keeping its various Canadian subcontractors happy. There may even be a way for Canada to procure the F-35 quickly and cheaply... If we are willing to lower our expectations somewhat. Thanks to the JSF business model, there are now almost 200 F-35s in the American inventory that are likely to become "Concurrency orphans". These early production aircraft have been left behind as newer F-35s come off the line with a higher "Block" status. The Pentagon has little desire to upgrade these aircraft, however, as they feel that money would be better spent on new F-35s instead of retrofitting the old ones. Perhaps Canada could acquire these "demo" model F-35s at a substantial markdown? The choice could then be made to either pay for the upgrades ourselves or simply leave them at their current "Block 2B" status. While Block 2B is not considered the "Full Warfighting" version, it is considered combat capable and was deemed worthy enough to enter IOC with the USMC. Still, given the JSF's bumpy beginnings, it may be wiser to simply stick with new build models. Like the Aussie Super Hornet, this is not an ideal solution, but it is an option. Going with new or slightly-used F-35s at least has the benefit of providing longer-term capabilities. As far as the "eurocanards" go, it would be hard to justify a short-term purchase to fulfill the "interim" role. Buying a small number of used or new aircraft for short-term use would pretty much be a non-starter given the added difficulty and expense of operating a mixed fleet. The only way a Eurocanard would make sense as an "interim" solution is if it was part of a larger deal to replace Canada's entire fighter fleet. Older, "surplus" fighters could be delivered to the RCAF almost immediately while orders are placed for more advanced variants of the same fighter. For example, Saab may be able to provide a number of Gripen C/Ds on a short term basis to assist in transition and training while waiting for the Gripen E/Fs to come off the assembly line. Saab has a history of offering leases to countries with modest military budgets, so it is not too hard to imagine. 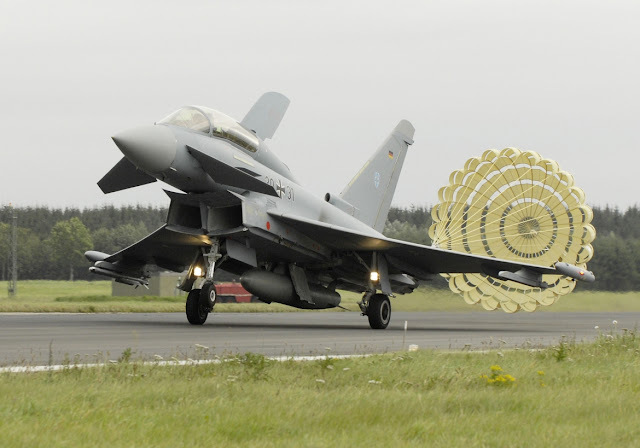 Eurofighter would likely be able to offer a similar deal with the Typhoon. Some Typhoon operators have decided to trim their fleets, and this has resulted in a few surplus Typhoons available. Like Saab, Eurofighter could entice a new buyer by offering Canada a few older fighters to tide us over until new-build fighters arrive. This strategy would require Canada's Federal Government to add this stipulation to its CF-18 replacement competition. This would allow any of the manufacturers to bid on providing both a long-term and short-term fighter. This added complexity would undoubtedly slow down the process even more. Instead of focusing on a supersonic multirole fighter, perhaps Canada would be better off addressing its "capability gap" with something a little simpler? Given the recent history of asymmetric warfare utilized in the war against terror, it would make sense to look into a simpler, cheaper aircraft to fly those missions in which a $100 million jet fighter would be overkill. Aircraft like the AT-6 Wolverine and EMB 314 Super Tucano are prime examples of this type. Sporting advanced optical sensors and guided bombs, these small, inexpensive aircraft are just as capable of taking out a "technical" as a jet fighter costing ten times as much. While this type of aircraft would not be able to replace the CF-18, it would certainly take the pressure off for future missions. Best of all, Canada already flies the T-6 in the form of the Harvard II trainer. All RCAF pilots coming out of flight school are already trained on it. It may even end up being a Snowbird replacement. Like the F-35, this solution should not be looked at as an "interim" solution but as a long-term addition to RCAF capability. Unlike the F-35, it would be much easier to fit in the budget. With a supposed "capability" gap complicated by the grim realities of budgets and politics, there is no longer time to stall. Now is the time for Canada to get creative in looking for a solution.